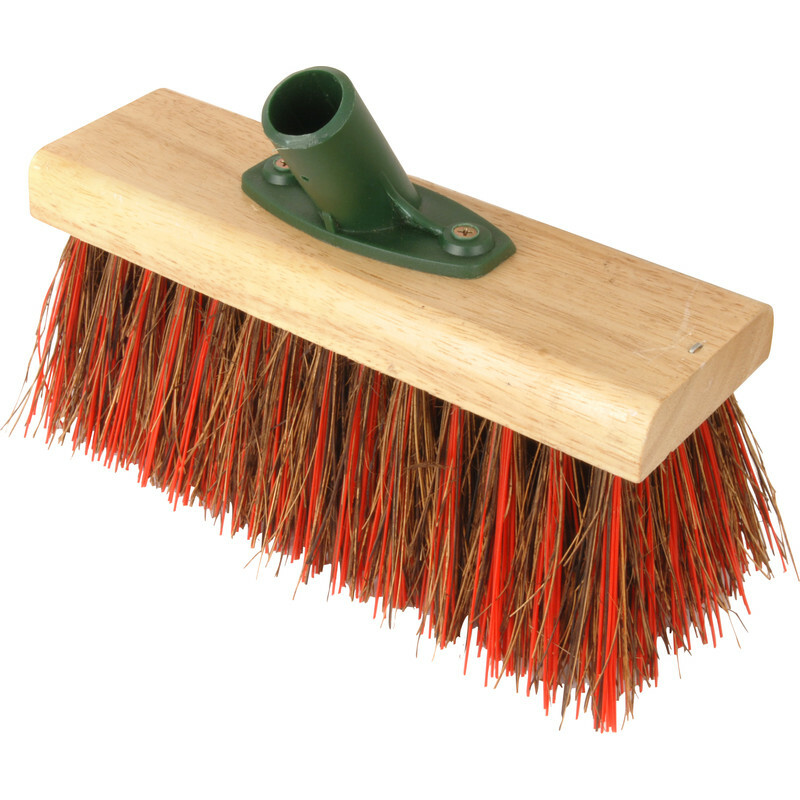 Yard Broom Head Bassine / Red PVC Mix 10"
Use threaded handle 54517 . Made in the UK. Yard Broom Head Bassine / Red PVC Mix 10" is rated 4.4 out of 5 by 16. Rated 4 out of 5 by Bobbydog1 from Good brush Good brush. I bought it for clearing wood decking prior to oiling. The mix of fibre in the head help get the dirt from the grooves. It's not too wide so you can brush 2 boards at a time. Done the job well. Rated 5 out of 5 by wavydavy101 from Nice and strong Nice stiff strong brush. Looks like it will last forever. Rated 5 out of 5 by Supasnik from It's a broom Works fine so far but it's predecessor lasted twenty years so early days! Rated 5 out of 5 by frankdogsbreath from Yards ahead Really good and stiff outdoor brush. Needs threaded handle. Rated 5 out of 5 by DEB23 from Functional Perfect for the jobs in hand including soil removal. Handle sold as a separate item too flexible for my liking. Quality of service as always of the highest standards. Rated 4 out of 5 by PB 70 from well made Bought to replace worn out head, easy to fit to my existing broomhead, sweeps well so well plased.